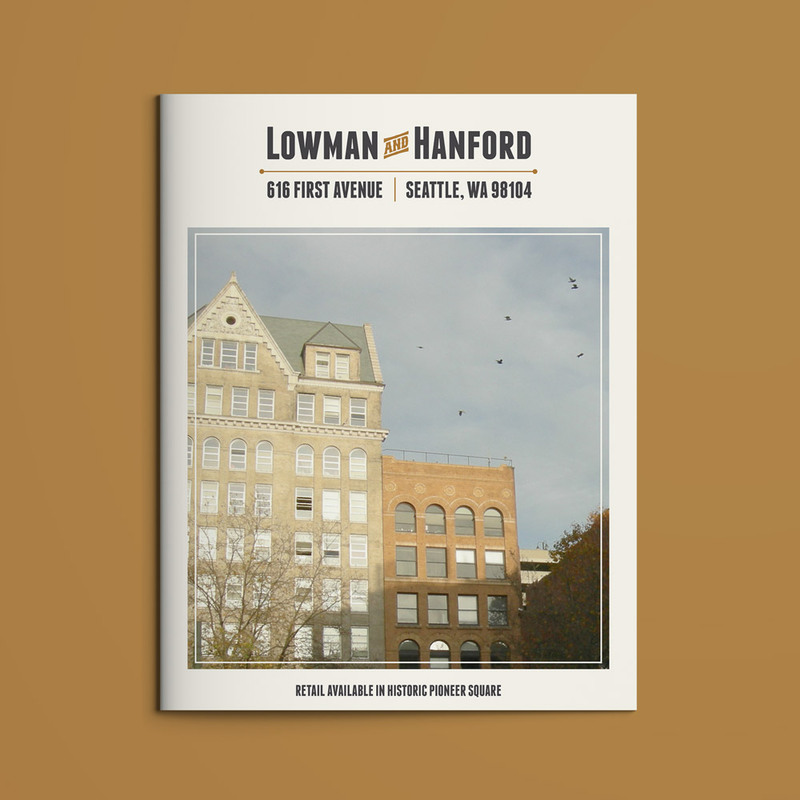 Built at the turn of the 20th century, the Lowman and Hanford building is located in Seattle’s historic Pioneer Square neighborhood. 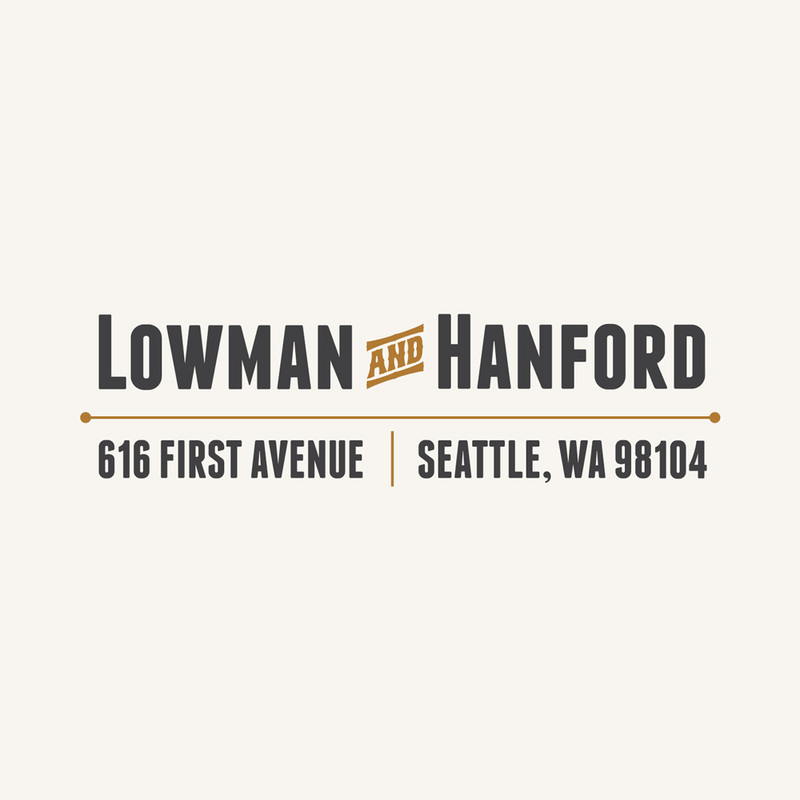 For more than half a century, the building housed the Lowman and Hanford printing company. 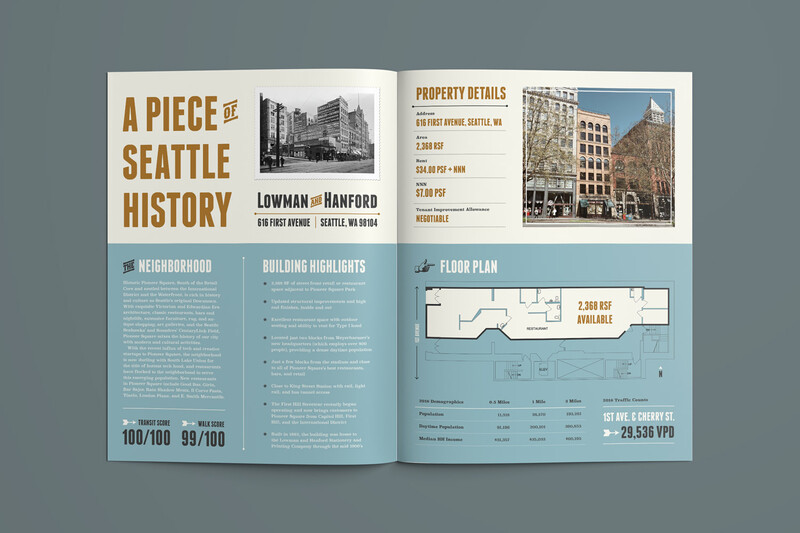 Today it is a mixed use building offering retail on the ground floor with office space above. 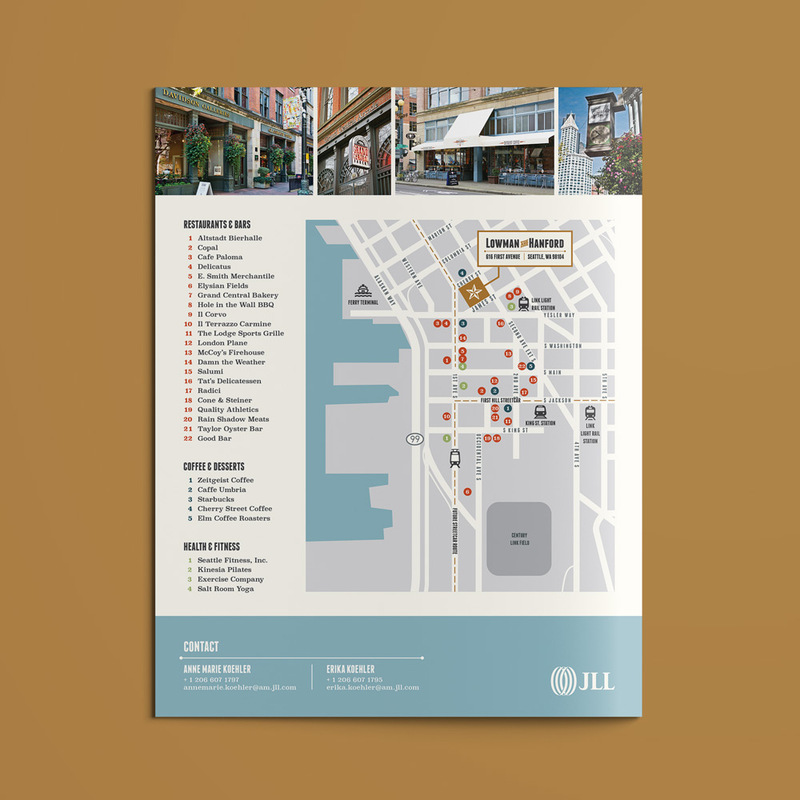 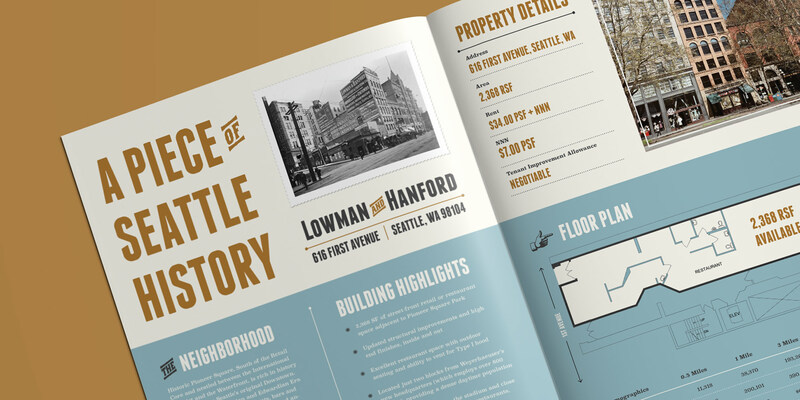 For this property marketing flyer I created a wordmark inspired by the typographic murals painted on the side of the building in the early 1900’s. 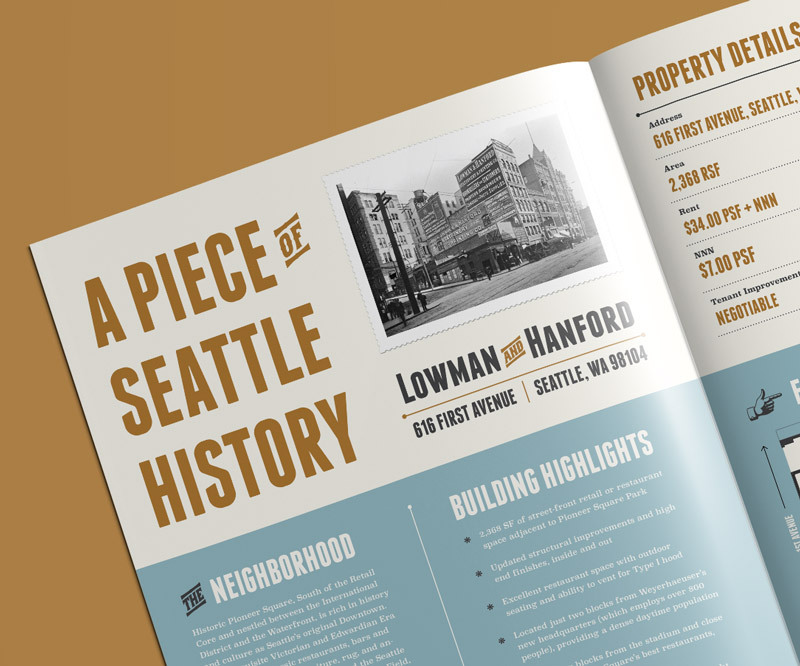 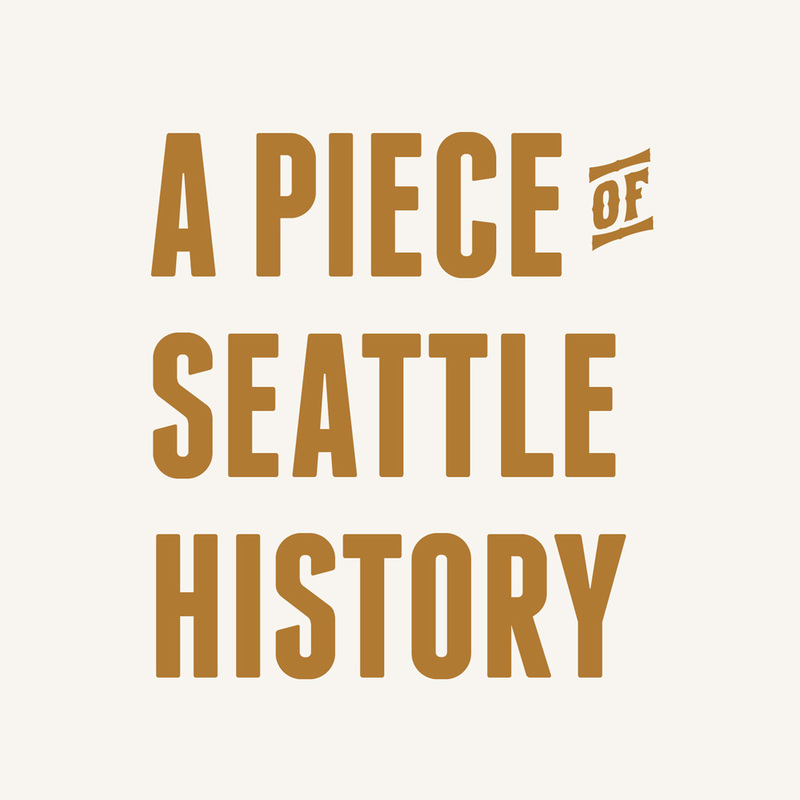 I also used vintage letterpress inspired catchwords and ornaments throughout the flyer as a nod to the historic charm of the building and the printing company it once housed.